Ms. Mulcahy, 64, joined the Board of Directors in 2009 and became the Lead Director of the Board in 2012. Ms. Mulcahy is a member of the Audit Committee, the Nominating & Corporate Governance Committee, and the Finance Committee. 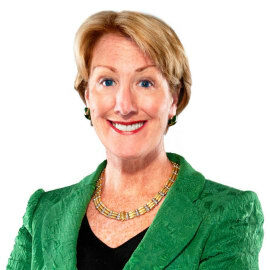 Ms. Mulcahy was Chairman and Chief Executive Officer of Xerox Corporation (business equipment and services) until July 2009, when she retired as CEO after eight years in the position. Prior to serving as CEO, Ms. Mulcahy was President and Chief Operating Officer of Xerox. She also served as President of Xerox’s General Markets Operations, which created and sold products for reseller, dealer and retail channels. During her career at Xerox that began in 1976, Ms. Mulcahy also served as Vice President for Human Resources with responsibility for compensation, benefits, human resource strategy, labor relations, management development and employee training; and Vice President and Staff Officer for Customer Operations, covering South America and Central America, Europe, Asia and Africa. Ms. Mulcahy has been a U.S. Board Chair of Save the Children since March 2010.